There has been considerable interest in an approach to eating that is usually described as ‘intermittent fasting’. This may involve restricting eating to a window of, say, 6 or 8 hours each day. It might involve alternating days of very restricted eating with ‘normal eating’. It might just skipping or delaying breakfast. The idea is that going without food for extended periods may have benefits for health and weight loss, in ways that go beyond mere calorie restriction. I most recently wrote about intermittent fasting in humans for The Times newspaper in the UK, and you can read this piece here. More recently, I wrote about a study in mice which appeared to lend some support for the concept of intermittent fasting. You can read this blog post here, but in short this study found that mice eating during an 8-hour window compared to those eating all day ended up lighter and with better functioning hormones such as insulin and leptin, despite consuming the same number of calories. Over 18 weeks, all four groups of mice gained weight, but there were differences between the groups. The group coming off worst in terms of weight were those in group 2 (high-fat, unscheduled diet). Also, though, mice in group 1 ended up being 12 per cent lighter and had better functioning insulin compared to mice in group 4, despite consuming the same number of calories. This supports the idea that a calorie in not necessarily a calorie (different sources of calorie do not necessarily have the same effect on weight). However, groups 1 and 4 differed in two respects: both type of diet and schedule of feeding, and it’s impossible for this comparison to gauge which factor (or maybe both) was responsible for the differing results. However, further insight here was gained by comparing groups 1 and 2 (same high-fat diet, different schedule of eating) which found that those in group 1 (compared to group 2) ended up 18 per cent lighter, and seemed to experience other benefits too such as dramatically reduced cholesterol levels as well as levels of the chief stress hormone cortisol. …the mice on the scheduled high-fat diet exhibited a unique metabolic state in which the fats they ingested were not stored, but rather utilized for energy at times when no food was available, such as between meals. Let’s not get too excited about this study, seeing that it was performed in mice and not men (or women). However, it does seems to provide some evidence to support the concept of intermittent fasting, perhaps combined with relatively high-fat eating. My experience in practice is that many individuals do very well on such an approach. While it may seem that they aren’t consuming much food, they are nor necessarily ‘underfed’ either, as perhaps these individuals are doing a good job of mobilising and metabolising their own fat (like the mice in the study). And this might also explain why such individuals may not complain of undue hunger either. After all, it’s possible that what they are not eating is being supplemented by the ‘food’ obtained from their own fat stores. 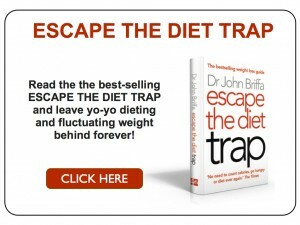 First, I would like to thank you for the book Escape the Diet Trap. It has changed my life! Additionally, your website is fantastic! This article on intermittent fasting of mice is very interesting, but I am not writing about it. I thought that perhaps this would be the best way to contact you. I am writing to tell you about a conference on sustainable cities that will take place in China – the 3rd China (Binhai Tianjin) International Eco-City Forum and Exposition, on September 21 and 22. If you want to know more about it, please see: http://www.whatsontianjin.com/event260.html. Having been invited as an international expert (I am an urban planner), I will be presenting a paper entitled URBAN AGRICULTURE FOR HEALTHY EATING IN THE ECO-CITY. Although it is just an academic paper, it serves the cause of the need for a healthy diet, defending urban agriculture as an alternative for achieving it. I am interested to understand the quantity of food that they ingest in the set time . If you take the average Man and give him 2000 high fat calories a day unscheduled and scheduled are you saying that the scheduled Man will have a lower weight then the unscheduled? So the “Fasting” is just the time when you just refrain from eating (and drinking except water or tea?) e..g a void period? Example awake drink Tea no food (tea no milk) fast until 1pm Lunch afternoon snack and dinner until 8pm and then refrain again until 1 pm the next day . Would it be reasonable to do this 3 days a week? Would the schedule I describe be acceptable “food habits ” as a way to trial this ? We don’t eat while we sleep which gives us a window of say 7 or 8 hours fasting. Why doesn’t this count? Whilst you’re fasting, your body mobilises fat stores. While you’re eating food, particularly carbohydrates, your body isn’t mobilising fat stores. To answer your question: The fast during sleep *does* count towards the total fast. But sometimes 7-8 hours fasting along simply isn’t enough for some people. The periods of fat non-mobilisation outweighs the periods of fat mobilisation, and this will result in weight gain over time. It’s not necessarily about calories (the old calories in = calories out principle isn’t strictly true), but rather the body’s ability to switch seamlessly between fed and un-fed (that is, mobilising fat stores and not mobilising them) to obtain an equal balance between storage and usage of fat. Longer fasts – typically 16-20 hour fasts every day(leangains and warrior style fasting), or 24 hours twice per week (eat stop eat style fasting), or limited calories on two days (500 calories on two days, with normal eating elsewhere) – seem to tip the scale and bring with it a number of beneficial health marker improvements. As far as I am concerned, healthy eating doesn’t involve very much ‘agriculturally’ produce food. Far to much land already is put to the plough to grow grains. Land that could be used to raise GRASS FED cattle. I am completely converted to the fact that bread and other starchy food is the reason I am having to lose body-fat now. Thanks to Dr. John and others of his ilk, I am slowly succeeding. Did I say to much? I meant too much! Interesting You Tube Interview with Prof. Oren Froy: “We Are WHEN We Eat” here. Do remember that BRIGHT LIGHT (outdoor) exposure during the day also resets circadian rhythm particularly when combined with MODERATE exercise. FLUX the free download software program that automatically reduces brightness of PC monitor at dusk and resets at dawn will also contribute. however I’m sure I’ve read that the amount of melatonin in the digestive system is about 400 times greater than that in the pineal gland, so maybe opinions differ. I’m also finding intermittent fasting helps. From Christmas to August, I lost about 10 pounds, less than 1 pound a month. Since then I’ve adopted 2 fast days and no breakfast without any problem, and have lost a further 7 pounds in 6 weeks. I do have one ‘good’ carb portion a day, and more veg than fruit. I also thought back (being retired) to how I ate at times when I maintained a stable weight, in my 20′s and 40′s. Then I rarely had breakfast, occasionally lunch (NHS hospital food was best avoided) and one low carb protein & fat based meal in the evening. I also had more exercise as I danced and was always running late. But I also had a lot of treat days, again mainly cheese and wine. Not the diet of a saint! I now don’t often feel hungry, and am walking at least half an hour a day. Also I feel much more optimistic about losing the next necessary stone, and I’m feeling much more active and healthier. Working what had worked for me in ‘non-diet’ mode was a real help. like barry danser, i wonder if one eats only twice a day, will she eat the programmed kcal , say 2000, or will she eat less? but if i divide them into two meals, the portion will be quite big and for someone following a ketogenic like nutrition, will it not disrupt the purpose perhaps due to some gluconeogenesis given by a big amount of protein in one go? 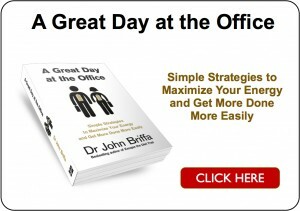 Thank you Dr. Briffa. Interesting study. I find eating within an 8 hour window best for keeping my energy levels. However, I do like to make eating times random sometimes. So, for example my first meal of the day may be at 12/1pm but some days it may be at 10-11am. I find it depends on what or how much exercise I have done, sleep quality and/or work schedule. I am a 75 years old female reader from California who has just been doing the intermittent fasting to great advantage. Three months ago, during a routine blood test, I found out that my fasting insulin was quite high. I did all necessary reading and decided to go on the intermittent diet. Thank you for the information you gave us about it. Well, I started with a fasting insulin at 15 (US measurement) and a body weight of 167lb. After three months, my fasting insulin is now down to 10 and I have shed 14lbs. I feel much better, lighter and with a lot more energy. OK, what diet did I follow? First of all, I cut out all sugars, grains and processed foods. I eat nutrient-dense foods rich in natural good fats (saturated & monounsaturated). enough protein so my body will have the raw material to do its repairs and plenty of green vegetables, cooked and raw. I eat breakfast at about 8:30-9:00 am (1 soft boiled egg + half avocado), lunch at about 1:00pm and have a little snack with Brazilian nuts or prosciutto or brie (or a little bit of the three) at about 6:00pm. After that no more eating until the next morning. So, my fasting lasts about 14 to 15 hours. Normally, I do not snack between my meals as I am not really hungry. I plan on making this diet a life-long endeavor. My goal is to bring my fasting insulin down to 5 and my weight down to about 130-135. At this rate I should be there in about 4-6 months. I hope other readers with insulin problems will try this way of eating. It works and life is much better once you see and feel the results. And it definitely beats taking diabetes drugs with all of those awful side effects! I like the study. Most studies though I’m very leery of. That said, it still amazes me that people think they’re going to get fat if they eat fat. That is so 1980′s. This diet allows for 500 cals for a woman and 600 cals for a man on the “Down” days, so its not fasting as in eating nothing at all. You can eat what you like on the “UP” day, but my husband and I have found that we don’t pig out at all, husband has lost 16lbs and I have lost 11lbs fairly easily, I’ll be making this my way of eating from now on, its so easy. Oh and my blood sugar has gone to normal too. I have to report that since I started the fasting technique I have finally lost weight. For me this brings into question the calorie question. I understand that the calorie intake recommendation was produced decades ago when some scientist (?) burnt various types of food to elicit their calorie content by the length of time they burned and that this was then used to create the formula for ideal calorie consumption for men and women. I wonder what this was based on, something scientific or guess work like the 5 a day for fruit and veg or the recommended units for alcohol consumption? Both of these have no scientific basis at all. I think it’s well out of date and, quite frankly, wrong. It’s time this was explored again, I feel sure that we all eat way too much, far more than we need and that this, more than anything, is responsible for obesity. I eat whole foods, butter, oil, raw whole milk, cream, eggs and various meats. I cut out carbs after I read Dr. Briffa’s book and it made very little difference. What is making the difference is not eating anything like the amount I used to. On non-fast days I eat two meals and try not to over eat. On fast days I reduce my intake even more. I feel fine, I sleep well and best of all, I am losing weight. I take a few supplements, magnesium, Vit. D3, Krill oil, turmeric and Seabuckthorn oil. Otherwise, only good, fresh, organic where possible food. I am elated to think I may finally, after years and years, found the formula that works for me. I’m not perfect, I do have a couple of biscuits with coffee (arrowroot or Marie) and once in a while maybe a piece of cake. Keep up the good work Dr. B. some of us are finally making progress lol. Your paper and thesis sound interesting. Architect Carolyn Steel authored and interesting book ‘Hungry City’ that is an interesting read about the issue, historical and present, of how to provision food to meet he requirements of burgeoning cities. I agree with you about the link between primary staples, process, and certain chronic health conditions and melding well with those you cite by name. ‘Trick and Treat’ is a seminal work by Barry Groves whose content seems highly authentic. Barry discusses many health conditions and their possible or probable causes. In each case (or health condition) he discusses and indicates cause(s) but does so modestly and does not press home certainty. However case on case, condition by condition, his thesis repeats similar casual likelihoods and so builds an image of growing plausibility. What he has to say about Multiple Sclerosis was an eye-opener for me. Which leads me on to say. ..
.. .. The health conditions which receive a mention in the ‘Earthing’ book by Ober, Sinatra, & Zucker constitute a list which compares well in constituency with the list scrutinised by Groves. This indicates the breadth of health conditions whose physiological pathway(s) involve a strong element of background inflammation, and this in turn could reinforce the notion and possibility that diets that provide a high proportion of cals from refined and high GL staples, allied with diets whose balance may include a deficit of saturated fat and a surfeit of polyunsaturates could constitute dietary foundations of a pro-inflammatory diet. In antiquity one of the trends revealed by the human origins programme is that we humans co-evolved with an evolving diet over several million years; not just in regard to constituency, but also in regard to methodology that was applied to it. Some authorities believe we would not have evolved the human form, as distinct from run of the mill primate, without this element of co-evolution. We certainly moved towards foods that offered a greater concentration of calories, and in the very long trend from the former ape diet to a hunter-gatherer meat (and animal fats) became an excellent and concentrated source of calories, and crucially, a concentrated source of valuable nutrients. I’ve often thought about similar lines, perhaps, to your paper. What about urbanisation could be influential in driving peoples choices in modernity? It’s difficult to be concise – and I wish to be – so no explanation; just some pins in map. Wealth in the developed and urbanised world is largely illusory. The instrument that puts a value on wealth is a divisive one. Put the two halves together and, shockingly, they net to nothing. The urban, the industrialised, and the post-industrialised environment rests upon the highly asymmetric distribution of wealth and debt. The same asymmetry, and the strains of returning capital gains, means the desired growth in the pyramid of wealth shares equivalence with growth in the pyramid of debt. This drives high wage ratios. Several variables act on this but essentially there is long term downward pressure on lower quintile earnings, say, while upper quintile earnings romp away. Lower quintile earnings may rise and sometimes fall, but crucially they remain strikingly close and marginal to the cost of a basic living that includes the essentials. Despite all the advances and proficiencies we’ve won over thousands and tens of thousands of years earnings remain strikingly marginal. Lower paid and even the lower middle class are encouraged to fill baskets with economy in mind. David Harvey, ‘The Enigma of Capital’ might give inspiration upon how the advance of capitalism dispossesses healthy peasants from the land that constituted their access to ‘natural capital’. It is a complex puzzle. Aspects of yield from land play their part. Then the involvement of enterprises of high market capitalisation in processing and provisioning food to the shelves has a bearing upon aspirations and agendas linked to food. If we cannot lay the puzzle to rest it is good that good people like you are addressing some of the perceived challenges and issues. Looking at the mouse study, the Calorie Reduction diet was first observed during the great depression in America when the lack of food led to an increase of life of 6 years. Research in other mammals has shown the with a reduction in overall calorie intake healthy life and overall life is extended by up to 30%. Somehow eating a diet somewhere between poverty and an over rich diet should produce a life without the diseases of either: Rickets, cholera, TB etc. in poverty and type 2 diabetes, heart disease and cancer in a over rich diet. I have now moved my diet to a low GI diet for 5 days and a 400 calorie a day diet on the other 2 days. When I go to my doctor for my annual blood test (high cholesterol – not a health problem) I will report my hopefully improved blood lipid profile. If the government lowered the recommended calorie to 1500 calories for women and 1700 calories for men it might save the NHS many billion of pounds and bankrupt several drug companies. Following on from Pete’s comment if the government taxed unhealthy foods, they could raise money and save the NHS billions at the same time. Sadly, the very things that the Government currently tells us is unhealthy, are the very things that aren’t… Natural saturated fats, butter, beef etc etc…. we’ve all heard the blurb. I recently read somewhere about a country that has started to put a higher tax on things like butter! No Government will tell me what I should or should not be eating. It isn’t any of their business. I like to think for myself and that’s what the Internet is about; researching and making advised decisions that suit me. Somehow I think the internet has Governments worried stiff. The ‘Plebs’ can find out too much that the Patricians don’t want the ‘Plebs’ to know. It just all makes sense to me. Trust a politician with my health? No way. Anyway, I believe that the conference in China was a success. I delivered my note and there were many questions from an audience of government officials/ professional planners, teachers and students. Am I a good soul? Well, Dr. Briffa’s struggle is a worthy one and I endorse it – it correlates with many other important struggles of our time. Professionals from all areas should look for solutions to the most serious problems that affect us from their professional standpoints – together, we may make a difference. Leave a Reply to John Walker Click here to cancel reply.